I decided to make a series on the environment, pollution etc.. Don´t know when the next one will come. Depends on my imagination and time. This is a popular subject among my ss. This ws aims at studying or revising vocabulary. Copyright 10/5/2016 Monique Karagozian. Publication or redistribution of any part of this document is forbidden without authorization of the copyright owner. 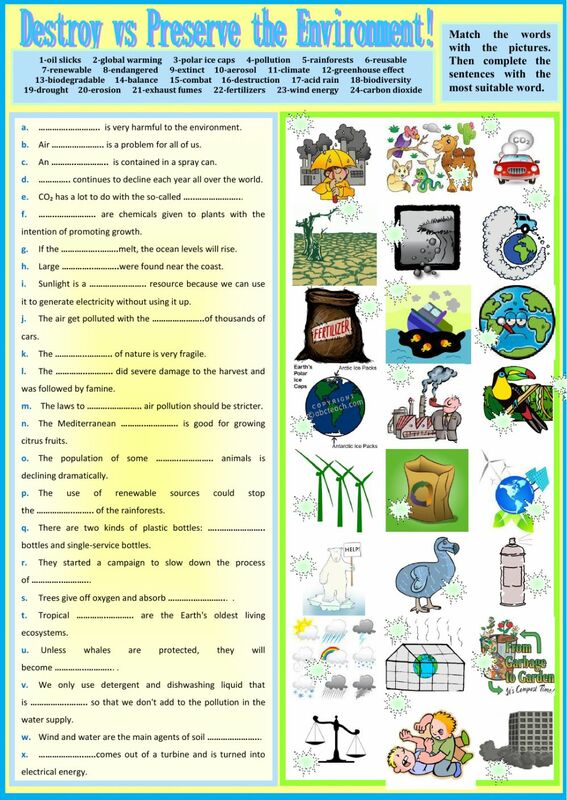 An excellent and a bit challenging way to work on some environmental vocabulary. Thanks a lot!